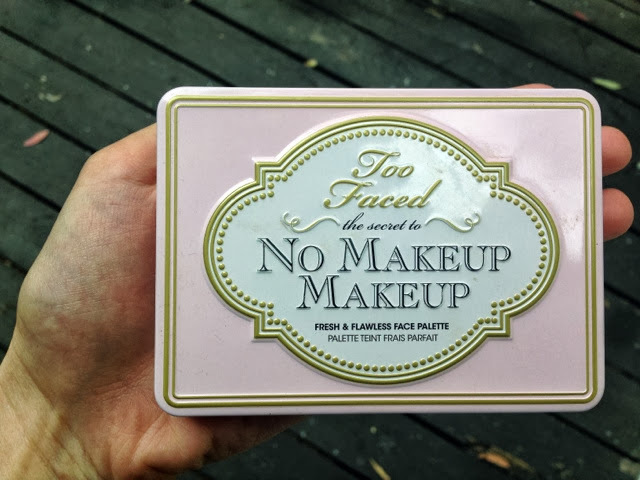 So today I wanted to do a review on the no makeup makeup palette by too faced. Too faced is probably one of my favorite make up brands right now and this was actually the very first thing I bought from them. Most of TF products are packaged cute and have little tutorial look sheets with the palettes you buy! The the no makeup and natural look palettes (I have both, and basically every other too faced palette) and they're both very similar only that the natural palette comes with a little bit more darker colors. As you can tell I've worn this one down a little! Especially the luminizer which I absolutely love. 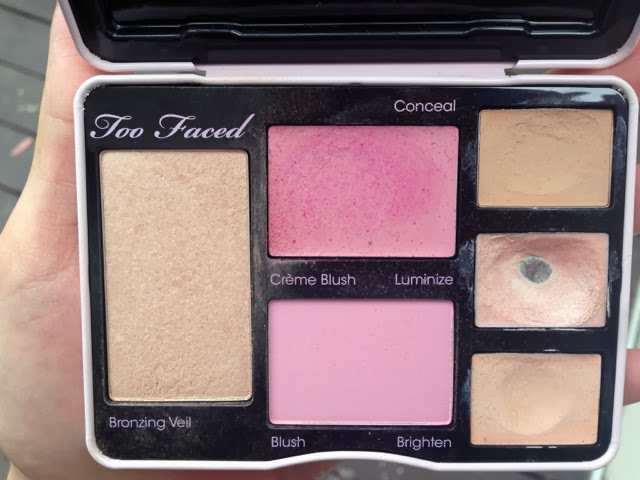 Definitely a palette for beginners and if you don't usually wear a lot of makeup!